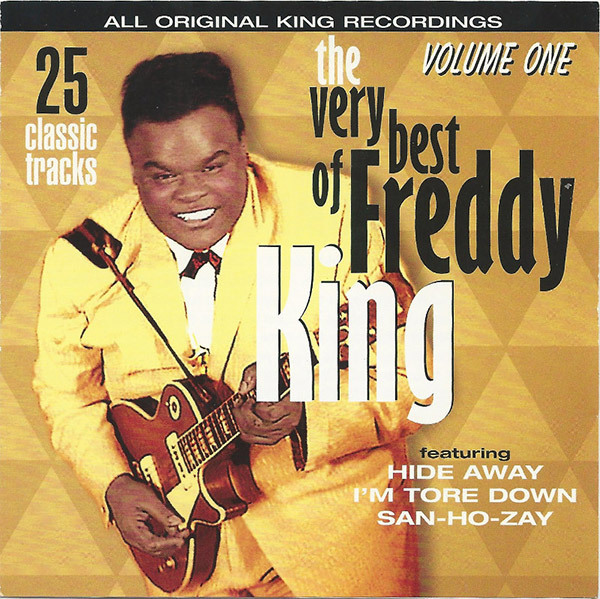 Freddie King – on early releases, Freddy King – is an undeniable giant of blues guitar, but sometimes in the shadow of famous namesakes B.B. and Albert. That’s even more reason to get to know his music, if you don’t already. A huge influence on Eric Clapton, Duane Allman, Jeff Beck, and the Texas blues of Stevie Ray Vaughan and more, Freddie King’s guitar style straddled blues and soul, and in later cuts paved the way for all colors of blues rock we now we take for granted. 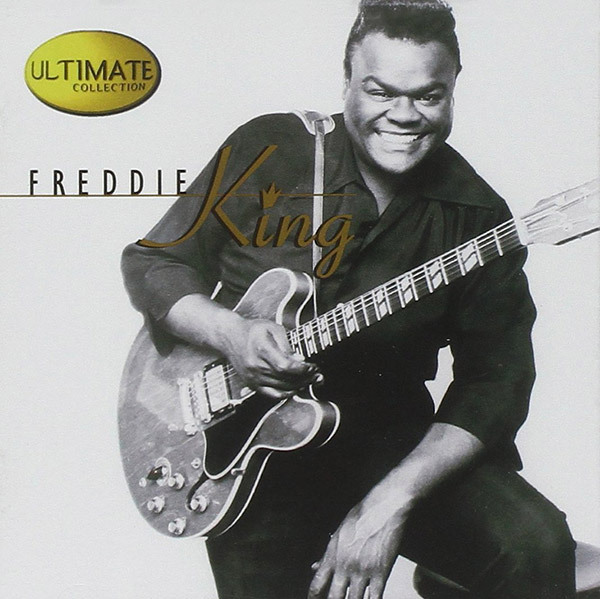 In short, Freddie King ruled. Freddie King was big – six-feet-plus and 250-pounds. Freddie King was flash – he was known as “the Texas Cannonball” and his style was usually high-tempo and served up a flurry of notes. Although he was nine years B.B’s junior and 11 years younger than Albert King, he was no mere upstart. It’s strange, somehow, that he is rarely considered their equal. He was born Frederick Christian (his mother’s maiden name was King) and from Gilmer, Texas. As a teen, his family moved to Chicago:, where he remembered; “I worked in the mill long enough to buy me a guitar and an amplifier.”. By night, Freddie mixed with Chicago’s finest bluesmen: Howlin’ Wolf told him, “Son, the Lord sure put you here to play the blues.” It was the usual sort of tale for an aspiring electric bluesmen, but there were many of those in ‘50s Chicago, and Freddie didn’t have it all easy. King was most famous for his instrumentals, including “Hideaway”, “San-Ho-Zay,” “The Stumble,” “The Sad Nite Owl,” “Sen-Sa-Shun” and “Side Tracked”. Quite simply, he was a better composer than most bluesmen, and could weave a sophisticated melody out the standard 12-bar form. He didn’t really “jam” or just blaze licks – Freddie King’s hits had hooks, melodies, bridges and distinct movements. He was notable for his use of a plastic thumbpick with a metal pick on his first finger – he said he got the fingerpicking style from listening to his early guitar hero Lightning Hopkins, and the metal fingerpick idea from Muddy Waters cohort Eddie Taylor. This combination aided attack and allowed his famously fast passages to be played easily and economically. King’s big tone was pretty remarkable given his guitars’ set-up: his top three string gauges were .010, .011 and .012 – very light for the B and especially the G – while the wound strings were normal light-medium-gauge. 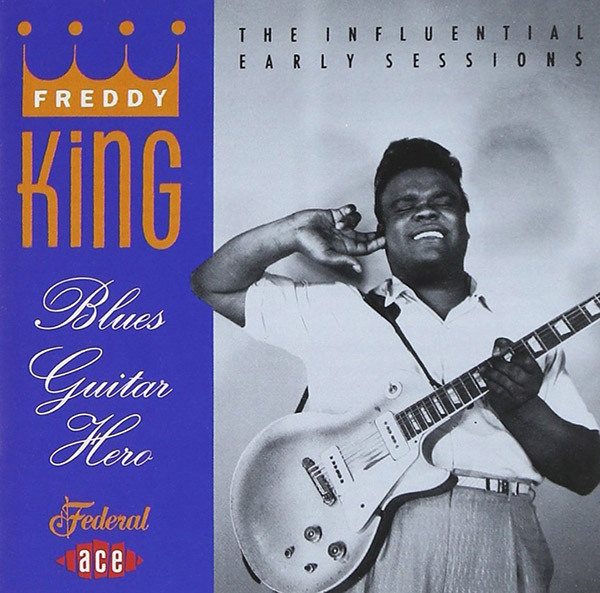 Early photos of King show him playing a mid-’50s Gibson gold-top Les Paul with P-90 pickups, which he used along with a Gibson GA-40 amplifier. Eric Clapton bought his first Gibson Les Paul, to be used to devastating effect on the Blues Breakers “Beano” album, after seeing Freddie on his Let's Hide Away and Dance Away album cover with his Gold Top. Shortly after, through, King switched to his trademark Gibson ES-345 guitars, cranked to massive volume. His Gibson tone wasn’t overly distorted, though – just loud. Switch to your bridge pickup to get some of that King attack. You want exactly the same guitar? Here’s the Gibson Freddie King 1960 ES-345 Sixties Cherry VOS. Gibson Memphis nails the period detail here, including the correct “mouse ear” cutaways, and MHS humbuckers for PAF-like tone. It’s a limited run with a period-correct tan and pink hardshell case. Like every vintage blues legend, King’s career is well served by best-ofs and compilations. As a bare minimum, invest in the 18-track The Ultimate Collection. 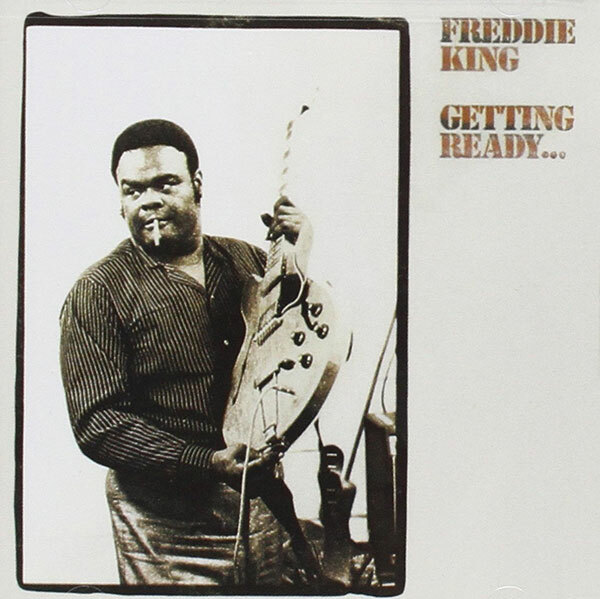 If you want individual albums, 1969’s Freddie King Is a Blues Master and 1970’s My Feeling For the Blues are must-hears. Although from later in his career, they had a massive influence of the blues rock that made massive waves in the ‘70s. In 1971, his version of “Going Down” became a blues-rock anthem that would be faithfully recorded by the Jeff Beck Group a year later – it’s a staple of the genre even today. There’s a Freddie King VEVO channel on YouTube full of great vintage videos – check this one out, with a young Billy Cox (Band Of Gypsys) on bass.